Contact Fernandez Honda San Antonio today for information on dozens of vehicles like this 2019 Honda CR-V LX. Want more room? Want more style? This Honda CR-V is the vehicle for you. Save money at the pump with this fuel-sipping Honda CR-V. Just what you've been looking for. With quality in mind, this vehicle is the perfect addition to take home. You can finally stop searching... You've found the one you've been looking for. 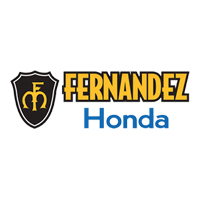 This 2019 Honda CR-V LX is proudly offered by Fernandez Honda San Antonio Want more room? Want more style? This Honda CR-V is the vehicle for you. Stylish and fuel efficient. It's the perfect vehicle for keeping your fuel costs down and your driving enjoying up. You've found the one you've been looking for. Your dream car. The look is unmistakably Honda, the smooth contours and cutting-edge technology of this Honda CR-V LX will definitely turn heads.